Even more than coffee and donuts, we love to see our fans show their Dunkin’ pride. 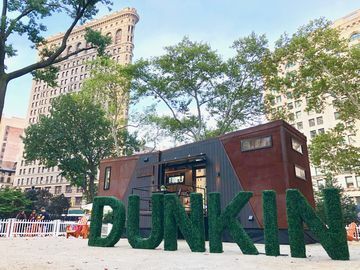 On Facebook and Twitter, we have received photos from fans who have decorated office desks to look like Dunkin’ Donuts restaurants, kinDD people who surprise their friends with Hot Chocolate, and pictures of DD coffee cups in front of major tourist landmarks. DD fans don’t take themselves too seriously, and always represent our brand with passion and humor. If you are a DD fan, we hope that you will have the chance to sport some Dunkin’ Gear this spring! 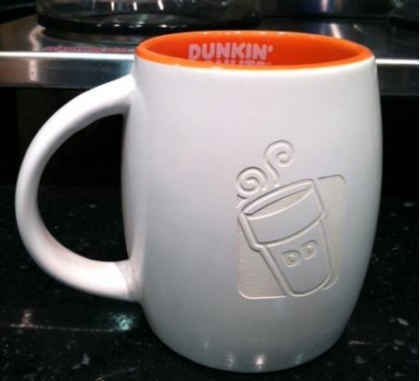 We created a special line of reusable mugs and tumblers to sell in Dunkin’ Donuts restaurants nationwide. ENGRAVED CERAMIC MUG: We are proud to offer this sturdy mug with an understated, laser engraved logo. 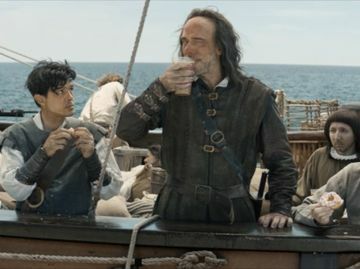 In addition to filling the Engraved Ceramic Mug with your favorite coffee at DD restaurants, you can also fit it into your Keurig Brewing System at home. The Engraved Ceramic Mug is microwave and top-rack dishwasher safe, and also comes with a gift box that is perfect for spreaDDing love to friends. Find the Engraved Ceramic Mug at participating DD’s for $4.99. 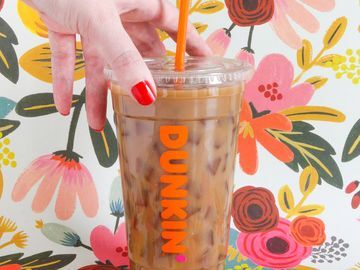 THIS MOM RUNS ON DUNKIN’ TUMBLER: Whether driving to little league practice, keeping it real at the office, or giving a hug when we need it most, our moms always keep us running. 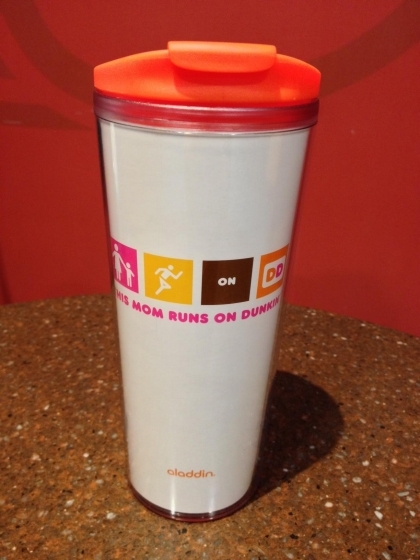 This Mother’s Day, make sure to show your appreciation with a “This Mom Runs on Dunkin’” Tumbler! Moms deserve only the highest quality, so we have co-branded our mugs with Aladdin, one of the top cup brands on the market. The tumbler is designed to hold a DD Medium Hot Coffee (16 oz.) and also fit into most car cup holders. In addition to double-wall insulation, the BPA-free mug also features a leak resistant, flip top lid. No matter how often your mom drinks coffee, she can reuse the tumbler time and time again—it’s top-rack dishwasher safe. The tumbler is available at participating DD’s for $6.99. For an aDDorable Mother’s Day gift, stuff the tumbler with a DD Gift Card! 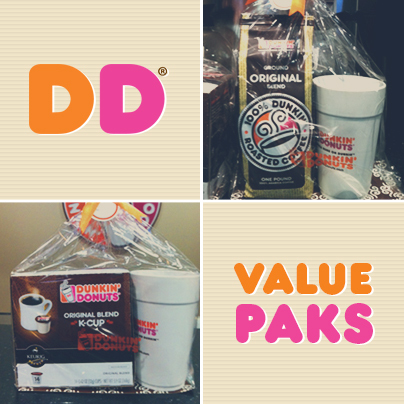 VALUE PAKS: Dunkin Donuts Value Paks have lanDDed in participating DD’s just in time for Mother’s Day, Father’s Day, and college graduations! 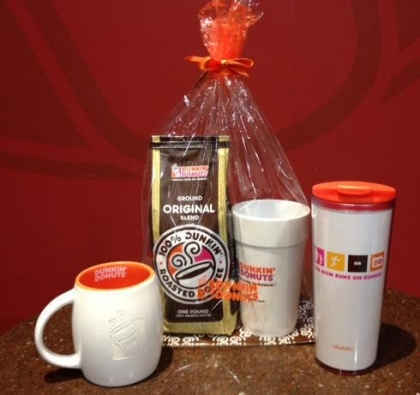 Both of our Value Pak gift packages come with a Classic Ceramic Mug, which is a reusable replica of the beloved and iconic Dunkin’ Donuts Hot Coffee cup. You can choose to pair the Classic Ceramic Mug with either a pound of Dunkin’ Donuts Original Blend Coffee or a package of Original Blend K-Cup Packs. The Value Paks are available at participating DD’s for $15.99. As a reminDDer, all of the May 2013 gear featured is available at participating U.S. DDs. 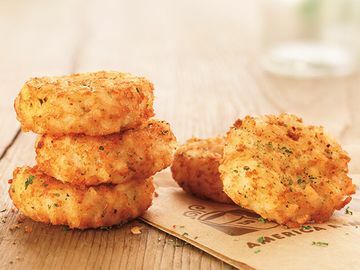 Not sure if your local Dunkin' has 'em? We recommend calling first to ask. What is your favorite piece of Dunkin’ Gear? Share your collection on Facebook or Twitter!